It’s not a question anymore if Aboriginals are doing business. It’s a question of how we do business with Aboriginal people and their Nation. The goal of the Nation2Nation Events is to open up the conversation, invite Industry & Government, ask questions, and seek the answers together. 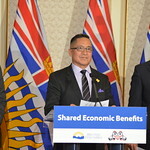 We need to start from First Nations’ perspective on First Nations Economic Development. The goal of the Forum is to bring together First Nations, Government, Industry and community leaders to continue the conversation about economic development and doing business with First Nations. 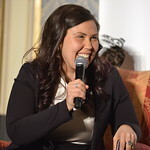 The Nation2Nation Forums will provide First Nations leaders with an opportunity to outline how Industry and Government can help address these priorities while working in partnership on resource development in First Nations territories. The Forum comes together over a 1 or 2 day period with keynote and panel speakers from around the Province. 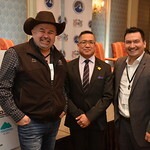 Northwest BC First Nations leaders and community members, Government (BC & Canada) representatives, Industry leaders whose companies are active in NWBC or who have projects planned and Community leaders from throughout the region. 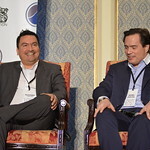 Economic Development, Major Projects and Best Practices in Doing Business with First Nations.